In the past, I’ve taken you back as far as the early 80’s, but today we are heading back even further, to the year 1979! Which means that this story begins the year I was born. Merry Christmas one and all! I apologize for the lack of ramblings in this one, but there hasn’t been a lot that I wanted to drop a few lines on, so I’m just gonna move onto the lists! Earlier this month I was worried that I might end up not having a Christmas game to post about on that very day. 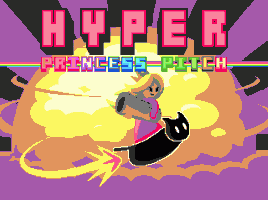 Thankfully @BacklogJourney quickly helped me out and so I grabbed “Hyper Princess Pitch”, from Daniel’s Base. 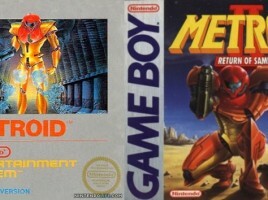 You play as a princess called Pitch, hell-bent on ruining Christmas, by taking down Santa who’s… A ROBOT?! No way. Well, that certainly puts things into perspective! Far as I could tell, it was a rather slow week for indie news, except for the indie bundle madness, so take a seat and listen as I drop a line or two on that. 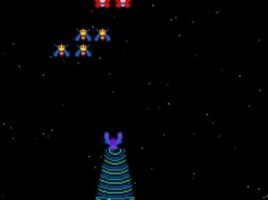 Indie Bundle Fatigue Kicking In Yet? The contents of every single bundle to this point, has been great indie games, from pretty much every genre – including hacking (yeah that’s a genre… wait, it isn’t? Oops!) – and that’s not the beef I have with them; far from. It’s rather the sheer amount popping up now, from all over the place, that’s made me decide to try and put the whole thing into perspective. But first I’m going to drag you back to the beginning of time with me. Who Doesn't Want to Have ‘A Flipping Good Time’? This is a “story” about a game called A Flipping Good Time, which can be downloaded for free from the developer’s website. Once again we’re kicking off with DIYGamer’s predictions for 2012, but this one’s about 10 indie games they think will be “most popular and well received” come next year. I’m not going to drop my $0.25 on these however, since most don’t have enough details available just yet. 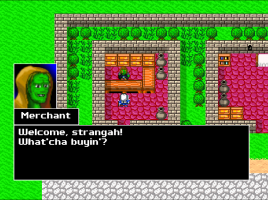 Breath of Death VII is truly unlike any other RPG today, and I’m glad Zeboyd Games went with an old-school style. The visuals (and many gameplay elements) presented here are similar to Final Fantasy (1987) and Phantasy Star (1988); that may seem a strange choice to some, but I think it’s great. It’s like returning to a simpler time.. when RPGs didn’t have (often confusing) branching dialogue options or complex skill trees, but actually focused on gameplay and a plot that (sometimes) made sense, more than simply showing off a fancy graphics engine. Since this blog will be covering sunday-through-saturday each week it may be confusing for some, but that’s how I’m gonna do it, so hang on ’cause here we go! The main character is a clumsy intern who works at a science facility.. Hey! Don’t you dare close this post. This is not some game where you simply play the part of an intern who gets coffee for her superior or file papers in a dusty archive in the basement. 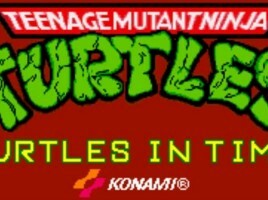 ‘Turtles In Time’ or Out of Time? Let me take you back.. to a time where everyone was going “cowabunga!” Leonardo, Michelangelo, Donatello, and Raphael started out as in the form of a comic book, published by Mirage Studios, back in 1984, and quickly rose in popularity – but it was not until 1987 that it became a worldwide phenomenon with the beginning of a cartoon that would go on for 10 seasons before ending in 1996 after airing a massive 193 episodes. Back to the 90’s.. This time we’re also heading back to days gone by in search of a long-lost Nintendo treasure; however… we’re going 16-bit this time, with the Super Nintendo Entertainment System! Upon launching this one the first time and navigating the menus to start a new game, it didn’t take long for the band to start playing and the tune was quite familiar: VVVVVV was a trip back in time! Duck Hunt introduced NES fans to lightgun gaming with the zapper. It was simple, yet highly entertaining game.